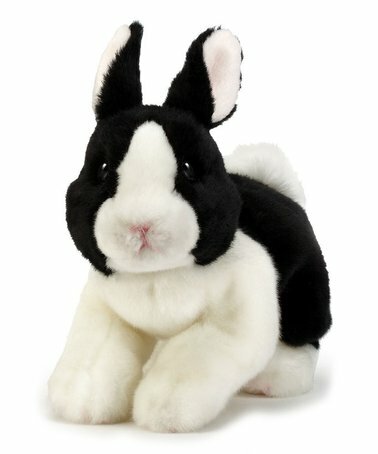 This adorable plush dutch bunny is sure to please! Stitched mouth and nose, button eyes, and fuzzy tail. Measures 11" by Nat & Jules.